Hey Friend! Your life is busy, right? I have five young children and sometimes my head spins when I try to figure out how to work, drive my kids where they need to go, and keep my house semi-clean. That’s why these chicken dump dinners are so amazing. 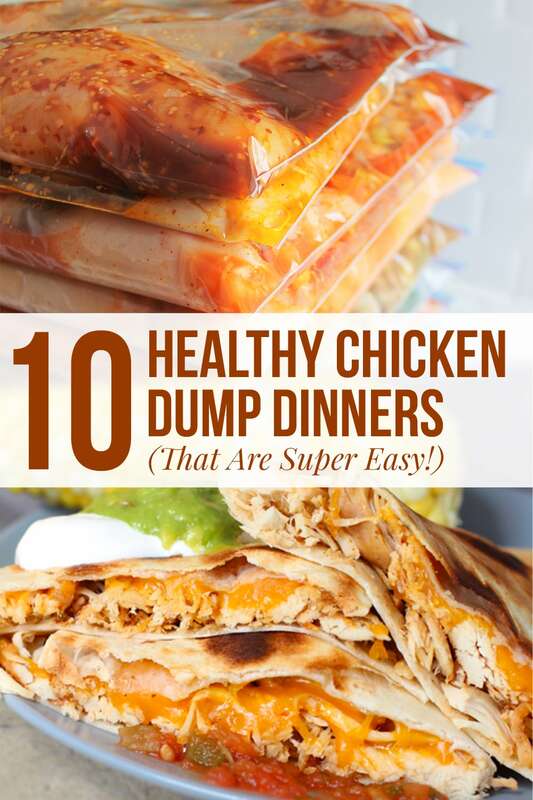 I quickly prepped 10 meals for the freezer so I wouldn’t have to worry about dinner on busy weeknights. If you love shopping at Costco as much as I do then this post is for you! 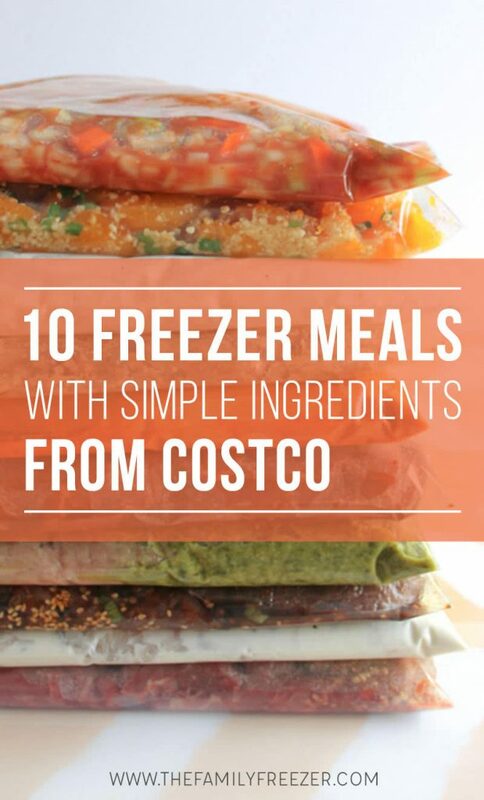 I made 10 delicious freezer meals using simple ingredients from Costco, including both crockpot and skillet meals to add variety to our menu planning this month. If you would like to make these too, I am sharing my recipes and shopping list below. Have you snagged your free cookbook eBook yet? 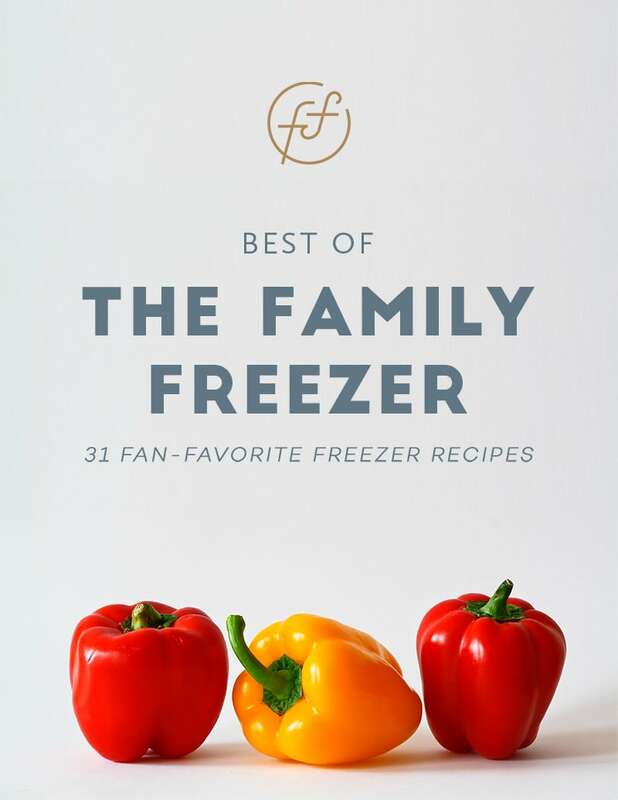 My husband (Andy) and I were talking yesterday and I said something like, “Our freezer cooking eBook is the best free thing we offer and so many people don’t know about it.” DUH. Why didn’t I write a blog post about it sooner? For the first time ever I am LOVING my Instant Pot. 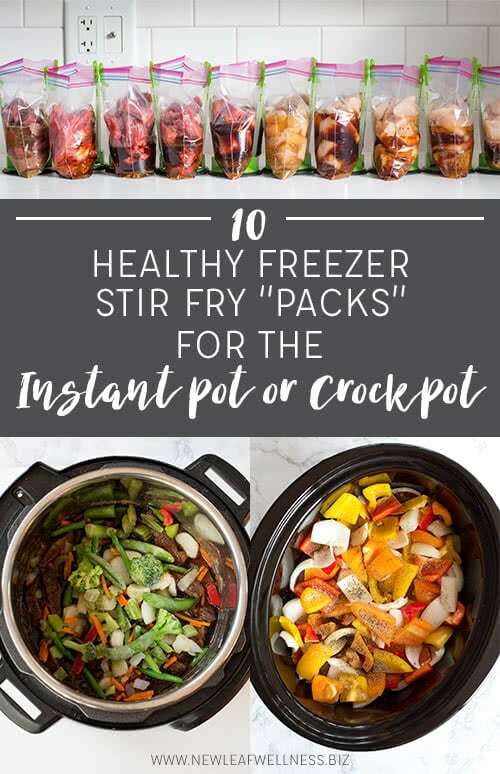 I came up with the idea to freeze stir fry “packs” with meat, sauce, and veggies that I could cook in my Instant Pot or crockpot. Oh my gosh, they are so good. If you want to make them too, I’ll share my recipes and shopping list below. Are you looking for new crockpot recipe inspiration? 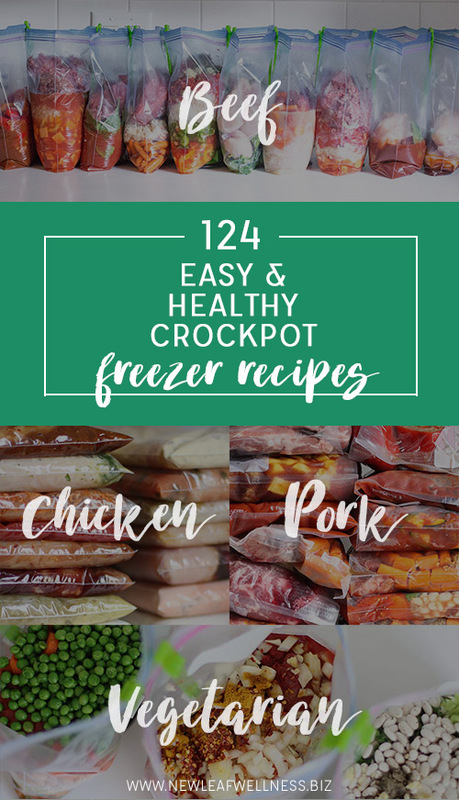 Here’s a huge list of my family’s favorite crockpot freezer meals. I came up with 31 chicken, beef, pork, and vegetarian recipes that we love for a total of 124 easy and healthy recipes. (Yes, we use our crockpot a lot.) Enjoy, Friends! 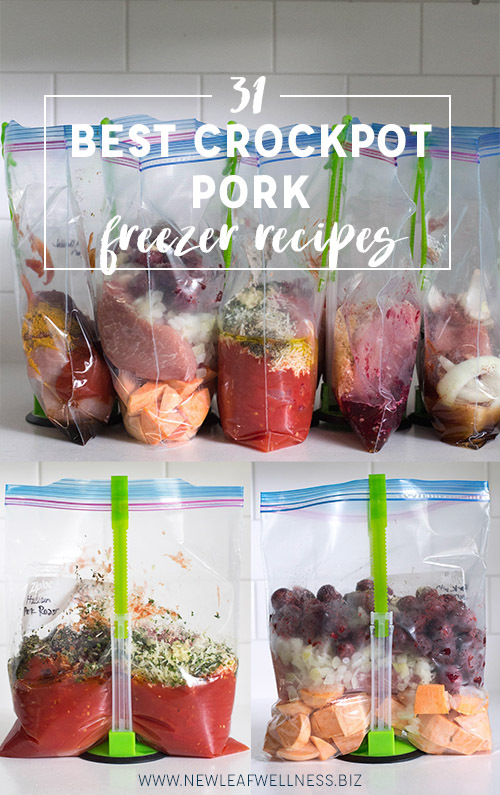 I froze a bunch of pork when it was on sale, so I decided to make a list of my family’s favorite crockpot pork recipes. These recipes can be quickly added to the crockpot in the morning or assembled and frozen for later. So easy!